The Porsche 911 R could have been nothing more than a limited production, though still special, 911 and that’d be it. Instead, it sparked a resurgence of appreciation for purists 911s, specifically equipped with a naturally-aspirated flat-six and six-speed manual. 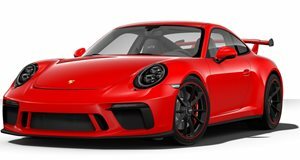 Porsche took note, hence the new 911 GT3 Touring Package, which will be sold in greater numbers than the 911 R. Speaking to Road and Track, Porsche North America Executive VP Joe Lawrence said that "What we learned with the (911 R) is that we in America are carrying the flag for the manual. “It’s still very, very relevant and there’s a huge demand for it. PDK is awesome, everybody knows that you’re faster in the PDK on a race track, but there’s still a real purist demand amongst enthusiasts for the manual transmission.” Another example Lawrence mentioned is the manual-only Cayman GT4. Both it and the 911 R have opened up the US market for more manual-equipped Porsches. “The US, with our size, our volume, and I think a vocal group of supporters for the manual transmission – I think it’s fair to say it’s a US-led proposition,” Lawrence added. 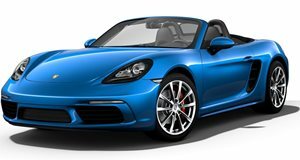 Porsche North America also sees a higher order rate for manuals on regular 911s as well as Boxsters and Caymans than in other markets. You see, America, this is yet another way we’re contributing goodness to this often messed up world. 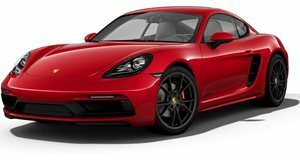 But will Porsche stick with the stick in the coming years, given the extra costs involved in offering two transmission options per sports car? “So far, we’re at a level where it continues to make sense for us, and we’re always carrying the flag for the manual transmission, and I think we’ll continue to see it on the two-door sports cars for the foreseeable future.” Bravo, America. Bravo.